If you’re like 80% of Americans, then chances are you will be getting a refund this year, but you are not looking forward to doing the work that comes with it. Considering the average refund last year was well over $2,500, who could blame you? 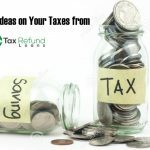 Many Americans grab all of the documents they receive regarding taxes in the mail and put them in a pile, along with anything else relevant, and drop them off on their accountant or CPA’s desk, wishing them “good luck.” Well, before you go and forfeit easy money to the local accountants or big tax firm, take a look at these tips. Filers who took the task on themselves saved an average of $500 this way, yet did not receive any noticeable loss in refund amount received. And, thanks to E-filing software, you don’t have to worry about making a math error and breaking the law. The biggest mistake that tax filers will make this year will be filing a written return. While the preference of some is to remain old school and avoid the computer, bear with me. Many of the errors we will informing you about in this article will be handled automatically with some of the tax filing software available, which requires E-Filing. Additionally, by E-Filing, you will save a tremendous amount of time. E-Filing is a service that the IRS provides, and by choosing it, you will eliminate the time that your return takes to travel in the mail. Additionally, when its time to get that refund, they can just electronically transfer the funds (EFT) to your checking account or bank account of choice. And you also avoid security pitfalls, such as someone like an identity theft or corporate spy stealing your mail or yanking your return from the mailbox before it goes out, which are real-life threats. Finally, E-Filing allows you to see the IRS’s directory of tax software, and take advantage of our second tip. It directs you to the free software after you make a log-in for E-Filing on their website, here: https://www.e-file.com/start-filing.php. After you choose to E-file and make your IRS.gov account, you can then get started with the filing software. If you make below a certain threshold, that software will allow you to file for free, and for most people, they can either file for free or for under $20, or at least file their State return for free. The IRS themselves direct you to one of their trusted partners, so you don’t have to worry about using someone you can’t trust. The software makes everything easy for you: by automating the process and asking you each question one by one, they eliminate the need to do additional work and make it simple for the user. For example, if you are filing and you tell it you don’t have a house, you will not need to enter anything into any forms regarding a mortgage or be asked about deducting your mortgage interest. This streamlines the entire process. The best part? Even if you submitted an amount that is slightly incorrect, if it’s done through the software, the IRS will perform their own calculation and only issue the refund for the correct amount. So, you don’t need to worry about making any major mistakes and having to re-file. VITA – Voluinteer Income Tax Assistance – Eligible if your income is $54,000 or less. Sponsored by the IRS, this service allows those who qualify to get help from trained volunteers. 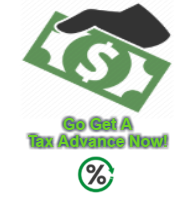 This gives you face-to-face support and assistance with your taxes. TCE – Tax Counseling for the Elderly – Intended for people just 60 and older, this program helps those that are advanced in their years. This service also gives you face-to-face support. There is no income threshold for this service. Free File – If you have an income less than $62,000, you will be given the opportunity to file for free using an online program. This does not give you in-person support, but still is beneficial to anyone who qualifies. There are so many deductions to be had, but this is a short list of the most commonly missed ones. Make sure you are very tedious when copying any information or doing mathematical calculations. Enter everything in pencil first, and only after performing the work twice on a calculator should you ink it in. For those that are E-Filing, you have the inherent benefit that you can enter the information directly from your received tax forms from your employer or bank and a lot of the math is done for you. However, it is a very good idea to make sure you do the work when you have a clear head, are un-rushed, and double-check everything. Spelling your name wrong may seem like something you could never do, but believe it or not, it happens every year. And most importantly, do not forget to claim all of your income! This is a data-entry error that people forget all the time. Whether you’re doing it on purpose or trying to hide income from the IRS, remember, “What does not come out in the wash, always comes out in the rinse.” This saying means here that if you try and hide income from the IRS now, you may get away with it for a little bit of time, but in the end, you will pay an even greater penalty and even face criminal charges, so best to make sure you enter all your known income. Remember, just because you don’t tell the IRS about money you received doesn’t mean somebody else isn’t writing it off and telling them! Another error people make every year is choosing the wrong tax forms. you use the 1040EZ form, you get the standard deduction. For most people, in 2016, that amount is $6,300 for singles and married persons filing separately and $12,600 for couples filing jointly. This deduction is subtracted from your income so you don’t have to pay taxes on that amount. However, if you have deductions that could exceed these amounts, you may be better off using a regular 1040 form so you can itemize. Typical deductions for those who itemize include mortgage interest, home office deductions, significant health care expenses and charitable contributions.